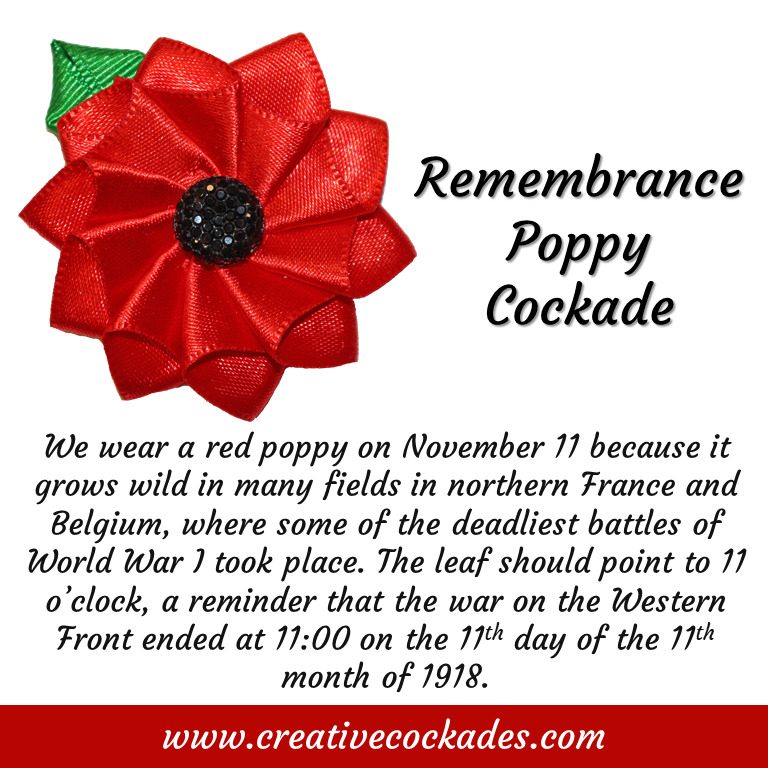 The Remembrance Poppy has been used since 1921 to commemorate military personnel who have died in war. It was inspired by the poem "In Flanders Fields" by Lieutenant-Colonel John McCrae. Perfect for lapels, the Remembrance Poppy is 2" wide.